Every day, seemingly intelligent and successful leaders and their companies make headline news because of poor decisions that can cause their businesses to stumble, making many of us scratch our heads in wonder: Why would such a successful business make that strategic decision? 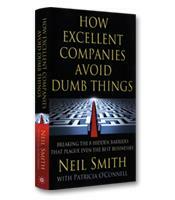 How Excellent Companies Avoid Dumb Things highlights the ways in which the eight hidden barriers can interrupt your business, and author Neil Smith outlines a fast, and proven, process in which 12 principles of business transformation can break down the processes that hold companies back. How to identify and break down the eight barriers. How to apply the 12 principles to bring about change in your organization. 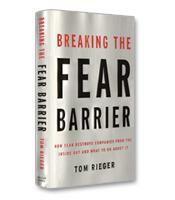 How to implement the 100-day change process for breaking barriers. The three results of the change process and how they improve your company.